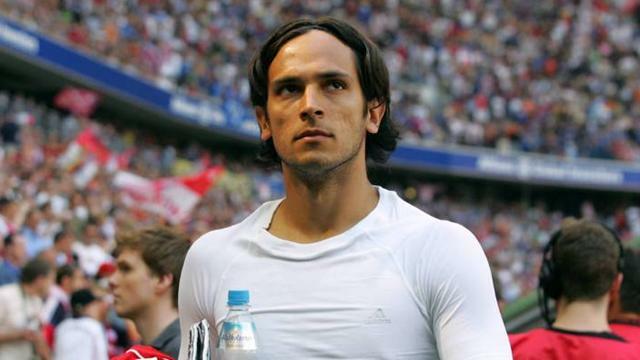 Blackburn Rovers have signed Paraguayan striker Roque Santa Cruz from Bayern Munich for a fee of around £3.3 million. The 25-year-old has penned a four-year deal with the Lancashire outfit, and is set to partner Benni McCarthy in attack for Mark Hughes's side. "Santa Cruz is a young player, an international with a good reputation who is playing at a top European club," said Rover boss Mark Hughes. "The good thing from our point of view is that his fitness levels are fine as he has been playing in the Copa America." Santa Cruz had slipped well down the pecking order at the Bavarian giants following the purchases of Luca Toni, Miroslav Klose and Jan Schlaudraff during the summer, and had been linked to a number of clubs around Europe, including Real Zaragoza. He has amassed 46 caps for the Paraguayan national side, scoring 16 goals.